IPA's combined family of consulting firms and professional services companies creates the worldwide leader in our market. We have more experience in providing consulting and professional services to the owners of small and medium-sized business than any other company. Our broad spectrum of services have been provided to more than 200,000 businesses throughout North America. Expertise encompassing areas such as maintaining positive cash flow, controlling costs, accelerating profitable growth, strategic planning, succession planning, preserving and determining corporate value and tax planning allows our clients to make the most of their work and their lives. It is widely held that we are the only management consulting firm in the world that delivers such a broad array of professional services to the small and medium-size business marketplace. With our expertise, our clients profit in business and prosper in life. 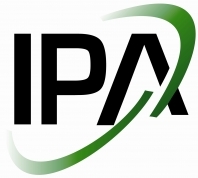 Established in 1991 primarily as a small business development firm, IPA soon became a full service management consulting firm, employing more than 1800 employees in North America. No full service business development consulting company has gone from zero to $200 million in revenues faster than IPA.